Ver versión en español aqui. It’s no lie that I’m a girl who loves cars and sports cars even more. You may not know the Los Tweens & Teens partnership with Ford started when I told the story of driving my 1998 Ford Mustang until my twins-pregnancy belly basically touched the steering wheel several years later! It truly has always been one of my favorite cars. My aunt was uber cool when I was a kid when she drove a red-hot Ford Mustang Mach 1 – a car that I hope to own one day as I just love the way it sounds. 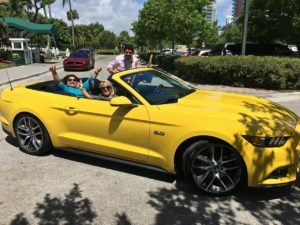 Fast forward to 2015 and I had the priviledge of driving the all-new 2015, 50th Anniversary Ford Mustang through South Beach for the Mustang Miami Event. And what a treat! The best part? Actually having fun with other moms, just women being women and loving a great, fast car. 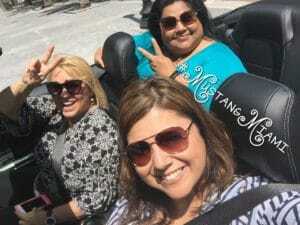 Cristy, Linda & Janie take the 2015 Mustang Convertible for a ride! From the roomy interior to the ultra-easy crank to raise and lower the convertible top, the best feature of the latest ‘pony car’ model is the stability. While I was quickly shifting from one gear to the next, I was impressed by its sturdy stability and such smoothness. Turns out that the new design features stiffness that has been increased by 13 percent to produce a more stable platform to take advantage of the fully independent suspension according to the vehicle designers. And I noticed. The curves were so easy to take and the quick drive on busy and unpredictable I-95 in Miami was like being on a racecourse it was so smooth. Interesting fact: the 2015 Mustang is the most customizable car in the world. It has so many options and combinations that buyers can select that it allows an entry-level car buyer or a seasoned car lover to own a similar vehicle, but built with their budget and preferences in mind. That said- the conversation of owning a new Mustang in our casa didn’t start with the husband, but with me! It is a beautiful vehicle that can range between $24,000 – $36,000 on average, of course, depending on all the options. At any age, you can certainly love the iconic Mustang but those with an edge for sports and style, that also want more room for some friends, this is a great option. Notice I didn’t say it was just for the man or teen in your life. Move over boys, women love their cars too! 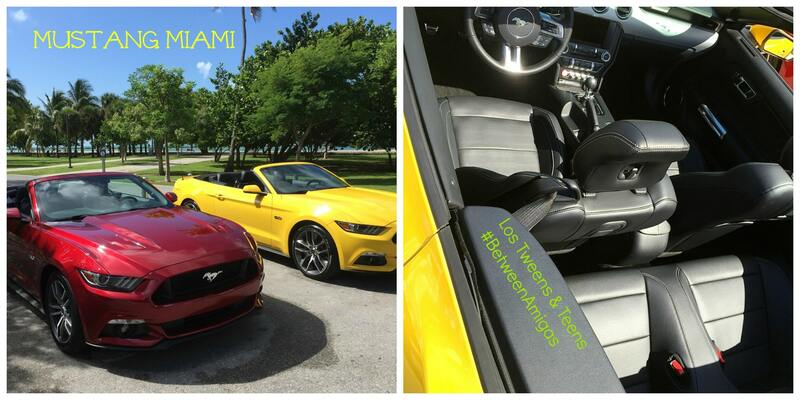 Amigas and yes, amigos too, go out to a dealer near you and test a 2015 Mustang or Mustang Convertible- we welcome your insights and sharing. This entry was posted in For Mothers & Tias, Product Reviews. Bookmark the permalink.